Last night was a pretty lucrative one for the Alabama football coaching staff, after the Crimson Tide captured the national championship. Alabama football knocked off SEC Champion Georgia 26-23 in a dramatic overtime game in Atlanta. At halftime, Nick Saban and company made the extremely gutsy decision to hand the ball to quarterback Tua Tagovailoa, a true freshman with very few meaningful snaps under his belt. Tagovailoa delivered, hitting a streaking DeVonta Smith on a 2nd & 26 play after taking a bad sack for a 41-yard game-winning touchdown. The score meant six national titles for Nick Saban, and it meant some serious loot for Saban and his assistants. Interestingly, the coach with the biggest bonus is Jeremy Pruitt, who receives a very nice parting gift ahead of moving over to Tennessee, where he accepted the head coaching job earlier this winter. 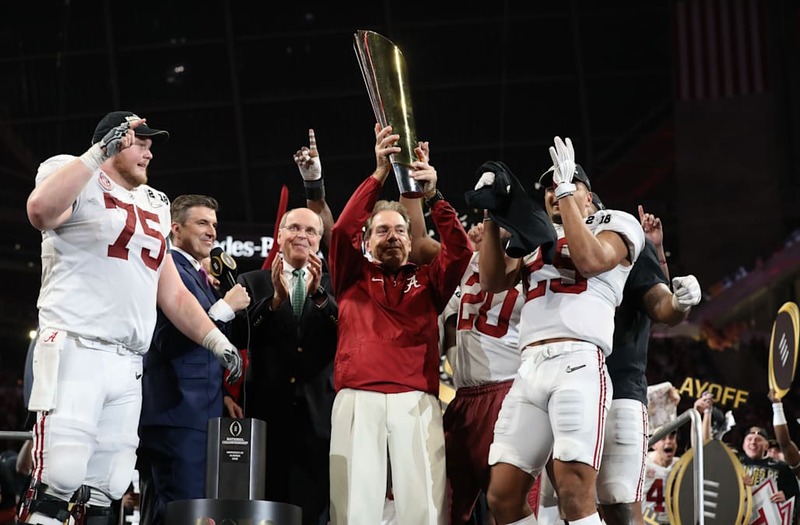 The post Alabama Coaches To Receive $1.27 Million In Bonuses After National Championship Win appeared first on The Spun.